Customer segmentation is a fundamental aspect of marketing for any business. Focused segmentation helps organizations build sharp communication strategies and optimize their marketing campaigns. Since commodities can hardly be differentiated, an efficient marketing strategy becomes a competitive advantage. It helps firms sustain their business over a long period by creating customized products. And assets can be customized to better suit their target audience’s changing preferences. This article discusses how a new frontier in technology, the Internet of Things, has enabled organizations to identify and target focused customer segments. With the help of IoT-enabled devices, companies can use their marketing budget to target only those prospects who need their product. It makes businesses more profitable and sustainable in the long run. It also creates immense value for targeted audiences. Companies investing in IoT tech will have access to precise information about end-user behavior. This includes, but is not limited to which products they have been considering, which have fallen out of favor and which are gaining popularity. This helps them narrowly focus their target groups based on the specific products they have indicated interest in. Thus, organizations will no longer depend on a theoretical segmentation strategy. Instead, they will use the extensive data at their disposal to create specific customer segments. For instance, web visitors who clicked on a particular link will receive different communication from those who visited the offline store. Moreover, walk-in customers who looked at particular items will get related messages and offers from the store. Therefore, the future looks brighter with data-driven customer segmentation strategies. IoT technology combined with Artificial Intelligence and Big Data will play a critical role in developing customer segments with high precision. Knowing the budget or intended amount of investment by your prospective consumer always puts the organization in an advantageous position. The firm can then tailor their products according to the requirements and expectation of the customer. This eliminates the risk of staking a price so high that it turns off customers. You can avoid losing a customer due to sticker shock with better communication and pricing strategies. IoT tech will provide the most accurate consumer data, which can be used to “showcase a product to only those customers who can afford it and need it at that time.” For instance, a customer’s laptop is not functioning correctly, and they are not willing to buy a new one due to budget constraints. The company can collect data about the malfunctioning laptop and show an exchange offer to that particular customer. It will not only increase conversions, but also reduce marketing budget. It will further lead to a boost in ROI and customer satisfaction. Old-school market analysts predicted these trends using data that was centered around past trends. These predictions have resulted in some shocking product failures due to a lack of comprehensive data available for analysis. IoT provides not only specific data to be analyzed for trend prediction, but it does so in real-time. This gathers both browsing patterns as well as general inclinations and social behaviors of the intended audience. For example, not everyone with the necessary purchasing power would like to buy a Tesla automobile; their preference might be more towards the more traditional Mercedes models. If Mercedes can spot these prospects, their conversion rate will skyrocket. Customer Relationship Management (CRM) technology has changed the role of digital marketers in unanticipated ways. A recent article on personalizing customer experience pointed out that CRM has created a much more customer-centric marketing approach in recent years. However, CRM technology itself is evolving at a remarkable pace. Until recently, customized communication with prospects has been limited to bulk email with a change in the name of the intended recipients and insertion of a few dynamic keywords based on the recipient’s known preferences. However, with IoT technology, this is going to change dramatically. 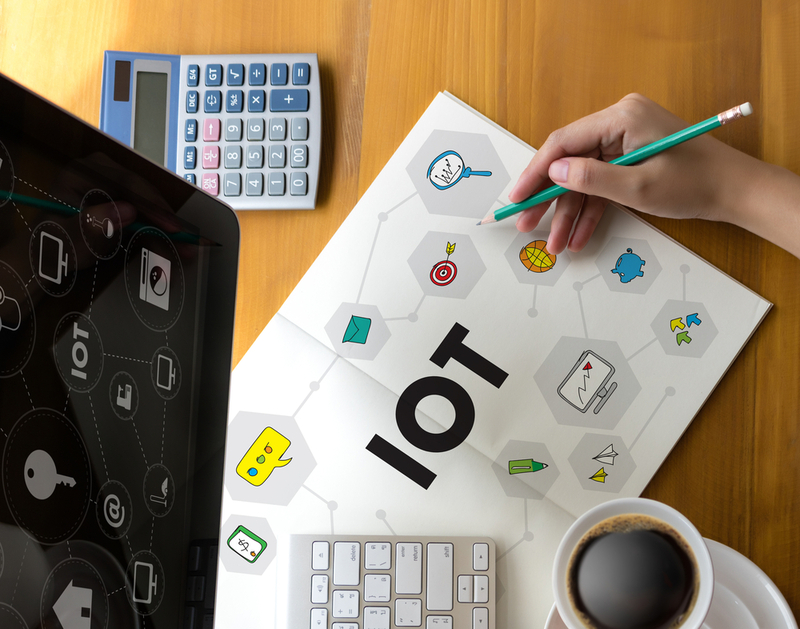 An organization can use IoT technology to establish a one-to-one communication strategy with millions of customers. It will boost personalization in the truest sense of the word. And it will empower companies to change entire content according to customers’ needs, demographics or behavior in just a few clicks. Providing maintenance services based on actual usage pattern of machines will be easier than ever. The sellers will have the capability to track the functioning of the machines in the real-time and provide immediate services based on the wear-and-tear history. Based on the usage of the devices, the vendors can recommend better products to their customers. They can even offer an alternative selling model, like leased equipment which will be a win-win situation for both the buyer as well as the seller. Scaling of personalized communication will be quite useful for businesses that directly sell to consumers. It will help them introduce new products and surpass their consumers’ expectations without depending on their channel partners (wholesalers and distributors) to provide appropriate feedback. All this is going to happen automatically, without filling up lengthy feedback forms or waiting for existing customers to register their complaints. IoT technology is already enriching our world. It’s taking us from abstract guesswork to almost scientifically segregated user groups. It is automating our daily errands. This reflects well on both the consumer and the businesses. The market will get rid of goods and services no-one needs. The consumers will get better value for their money and quick services. It leads to better customer satisfaction and efficient marketing communication. Businesses will invent new business models, produce customized goods, and function more efficiently than ever. In the long run, this will make companies that use it more diversified and productive – helping them unlock sustainable business growth and a satisfied client base. One would be better off riding this tide than to watch from a distance and repent later. So, get onboard. !e welcome you to the new age: the age of IoT!